After a month of testing we are proud to release new version of ArahWeave. 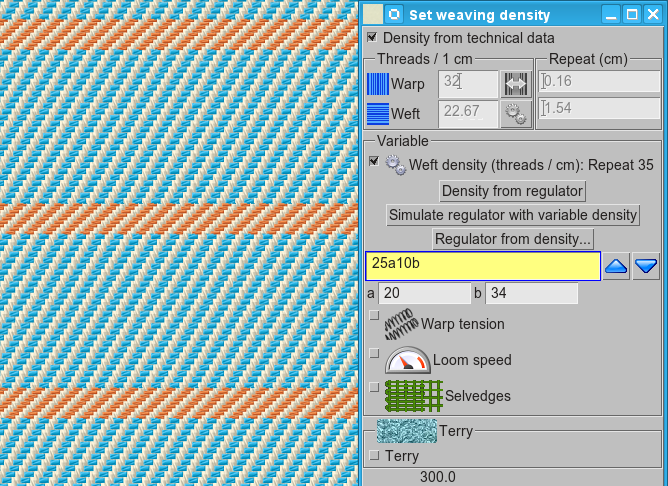 – correct fabric simulation display of variable density. Display of regulator and denting was already correct, but now you can correctly display 25 wefts woven with density of 20/cm, followed by 10 wefts with density of 34/cm (Picture 1). – fixed visual bug on fabrics with regulator, ground fabric no longer shows defect on start and end of regulator (Picture 2). 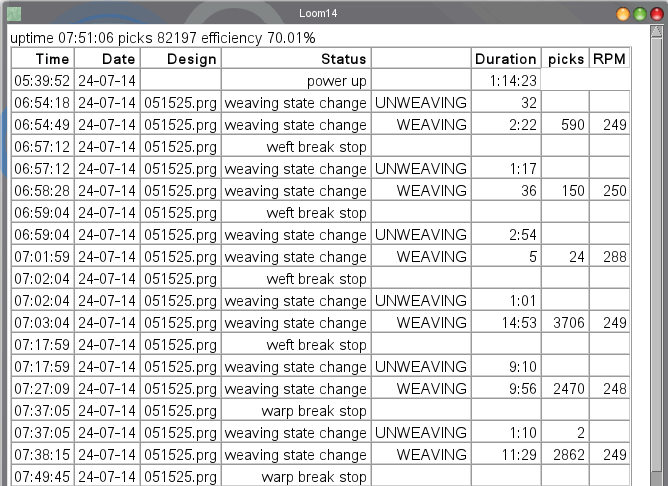 – for Staubli looms in network, the function Weave > Read loom status will display all events on the loom since it was powered on. Creation of logs must be enabled on the Stabuli JC4/JC5/JC6 controller (Picture 3). 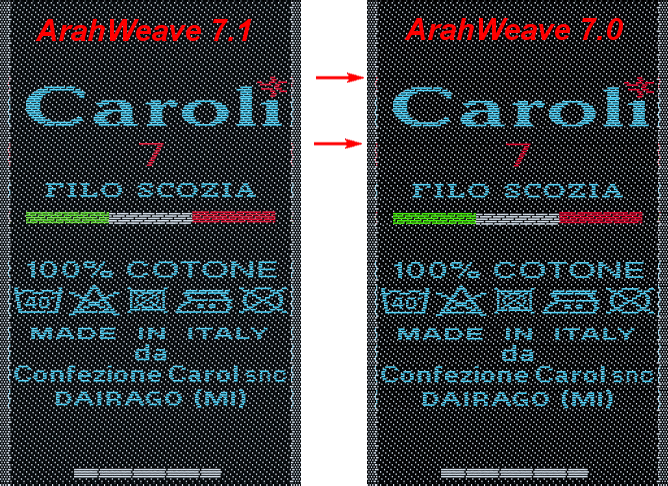 – in jacquard conversion, multiplication factor of the final weave will be drawn in blue letters if it matches the image size. – if you have scanned one repeat of fabric, loaded as jacquard image, and you click on ruler unit (top left), you can enable display of scanned fabric in actual size, instead of the ruler. 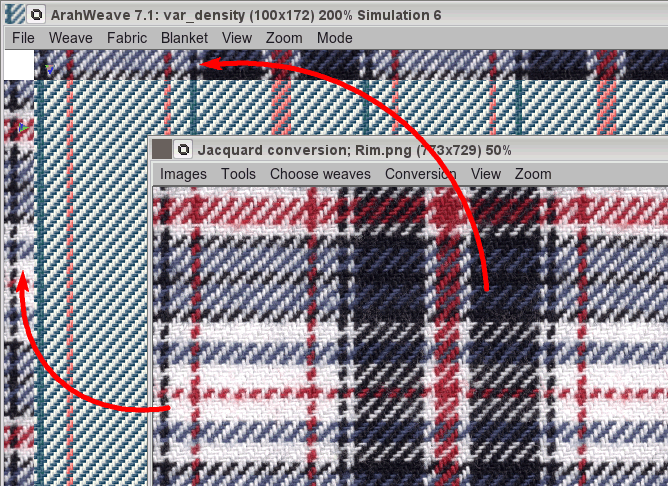 Using this function, it is easy to copy warp/weft patterns from samples (Picture 4). Demo version is already available on the web site. Customers with valid support contract will get the upgrade by e-mail. If you wish to get the update, but you did not get it, please contact Arahne. The Caroli woven label courtesy of FGF Labels.